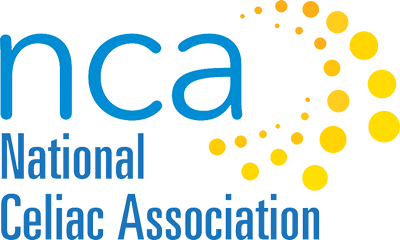 What Celiacs Need to Know – Register! Monthly e-newsletter serving the celiac and gluten-free community. As autumn leaves turn to beautiful colors around us, we like to look back at the year so far as well as ahead to the last few months of 2017. We are proud of the inroads we have made and continue to give thanks to our members who so graciously support us. 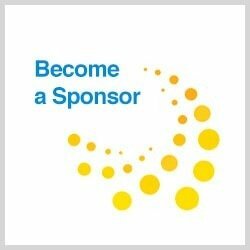 Have you registered for What Celiacs Need to Know yet? If not, please do so today! You won’t want to miss hearing from endocrinologist Partha Sinha, MD, Emma Clerx from Harvard University and nutritionist Melinda Dennis, MS, RD, LDN. Dr. Sinha is a faculty member in the Endocrine Division at Beth Israel Deaconess Medical Center. He received his medical degree as well as a Ph.D. in pharmacology at Tufts University. He did his residency in internal medicine at Beth Israel Deaconess Medical Center and fellowship in endocrinology at Massachusetts General Hospital. Celiac disease can have a significant impact on the health of the skeleton. We will discuss the causes underlying this impact, and the strategies we can pursue to maintain good bone health. Melinda Dennis, MS, RDN, LDN is the Nutrition Coordinator for the Celiac Center at Beth Israel Deaconess Medical Center. Diagnosed with celiac disease 26 years ago, Ms. Dennis specializes in the nutritional treatment of patients with gluten-related disorders. 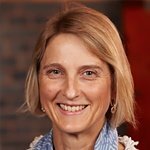 She is Founder, former Chairperson and Nutrition Advisor to NCA and serves on the Executive Committee of the Harvard Medical School Celiac Research Program. Melinda’s presentation, A summary of current topics (arsenic, probiotics and non- responsive celiac disease), will help you stay up to speed on developments that may affect your overall health and well-being. Join Melinda to hear about some of the research that is guiding our practice of nutrition for those on the gluten-free diet. 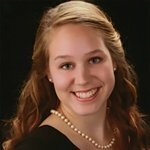 Emma is a junior at Harvard University, studying biology and Spanish. She was diagnosed with celiac disease in the sixth grade after struggling with chronic gastrointestinal symptoms from age two to twelve. She is very grateful to have had the unique opportunity to study this disease at the Celiac Center at BIDMC with Dr. Leffler and his lab group. In her presentation, How long until truly gluten-free?, Emma will highlight the main project that she worked on this past summer: turning survey data from patients at The Celiac Center at BIDMC into a timeline for tracking self-management skill acquisition in adults with celiac disease. Gluten-Free Watchdog Tricia Thompson summarizes the need for comments on the FDA Citizen Petition that calls for an end to labeling violations under the gluten-free labeling law. The goal is to get 1000 signatures on this petition. Please click the button below and sign the petition asking the FDA to establish a specific protocol for increased surveillance, investigation and enforcement of potential facial misbranding violations under the gluten-free labeling rule. Here is an interview with Dr. Alessio Fasano where he discusses the gluten-free labeling law. Members and magazine subscribers should have received the Fall 2017 issue of Gluten-Free Nation magazine by now. This issue features articles on Gluten-Free in Sicily, School Lunchbox ideas, Medical and Science News, Recipes and stories. Members can also view the magazine on our website at the link below. 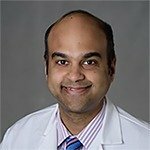 Here is a video of Dr. Ankur Chugh, pediatric gastroenterologist from Children’s Hospital of Wisconsin talking about his research at the International Celiac Disease Symposium 2017 in India last month. Here are some other recaps from the event. An article by Marcelo Campos, MD found on the Harvard Health blog addresses the question, Leaky gut, what is it and what does it mean for you? 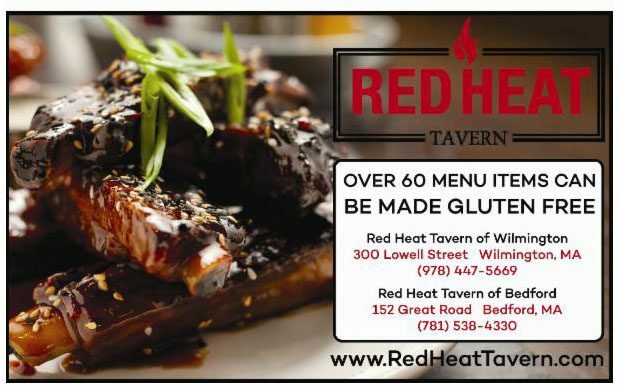 This article is titled Going Gluten-free? A Few Caveats for Kids, and it warns about the apparent rise in parents putting their children on a GF diet thinking that it is healthier. Chef Oonagh shared this article about imitation crab, lobster, etc. Allergic Living explains why gluten-free supplements are not recommended for treating celiac disease. Here is an article about the potential for a gene-edited wheat made for people with celiac disease. Is craving ice a possible indicator that somebody may have celiac disease? Read about it here. Jessica Madden, MD, explains all about the celiac genes and what having them may mean. Here is an article about a potential new treatment for celiac disease using nanoparticles. 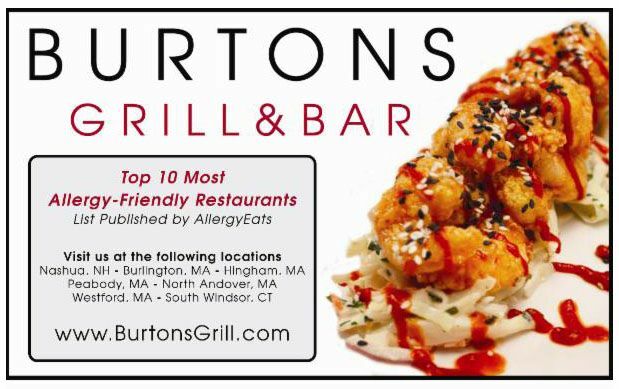 Here is an article listing 10 restaurants to visit. Time Health put out this video showing the important things to know about celiac disease. This article includes an interview with Benjamin Lebwohl, MD, director of clinical research at the Celiac Disease Center at Columbia University and discusses possible reasons so many people follow a gluten-free diet today. Dr. Dascha Weir, associate director of the Celiac Disease Program in the Boston Children’s Hospital, tells parents 5 things to know about celiac disease. Register for the Bold Beyond Symposium taking place on November 9 from 5:00 p.m. – 6:30 p.m. to learn about celiac disease research. Speakers will include Ciaran Kelly, MD, Anthony DiMarino Jr., MD, and Ritu Virma, MD. If you are near Drexel University in Pennsylvania, you can register to attend in person. Otherwise, you can register to watch the event via webcast. Every time I make this there are no leftovers. People who don’t eat gluten free still want the recipe. It is just as good without the icing. Find GF candy lists, recipes and more on the NCA Gluten-Free Halloween Resources page. The Waverly, IA area Celiac/Gluten Intolerant Group took a road trip to Klunder’s Country Kafe in New Hampton and some attendees enjoyed a hot roast beef dinner with crispy brown has browns. They will also have a Holiday Amish meal on Saturday November 4. The Lincoln, NE Celiac Support Group held a meeting featuring a presentation on Colon Cancer Prevention, Screening and Treatments. See their website at www.lincolnceliacs.org for information about other upcoming events in the area. The NCA San Diego Support Group enjoyed a Gluten-Free Picnic and Pool Party this summer. A dining out event is planned for November 5. Watch the website for details such as menu options and cost: www.glutenfreesandiego.org. In August, the Northfield, MN group enjoyed a Can’t Eat Wheat Potluck Picnic. The Orange County Celiacs enjoyed amazing food at a dedicated GF restaurant located in Yorba Linda, CA in August. Many thanks to donors for supporting NCA and the task force consisting of hospital celiac centers, nonprofit organizations, support groups and community leaders across the nation. Together, we have accepted monetary donations and facilitated gluten-free and allergy-friendly product donations to food banks in the areas impacted by recent hurricanes. There will long be a need for many communities, and there is still time to donate should you wish to support this cause. Gluten-Free Philly writes about new GF products here. New restaurant recommendations have been added to our database. See recommendations here or add a restaurant you enjoy here. H-E-B has recalled Mi Tienda ready to cook seasoned chicken thighs due to misbranding and undeclared allergens (wheat). Read about the recall here. Dierbergs Markets issued an allergy alert for their Cabernet Grille Butter 3oz due to undeclared allergens including soy and wheat. Read about the recall here. 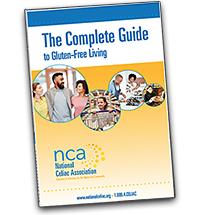 Following the dissolution of CSA earlier this year, NCA will be continuing the valuable Gluten-Free Recognition Seal Program. 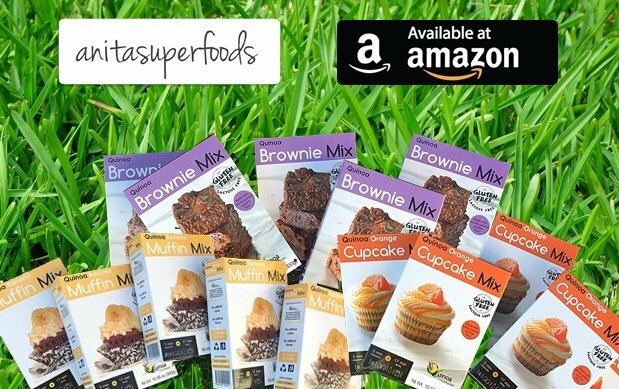 When products display the Recognition Seal, customers are assured they are choosing a product which has undergone the most stringent third-party gluten-free certification available for product, processing and packaging. 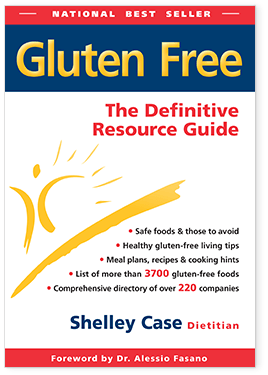 Congratulations to Bev from Colfax, NC who won last month’s giveaway, Gluten Free The Definitive Resource Guide by Shelley Case BSc, RD. Get the NCA News digest in your e-mailbox every month. Its free!